Iowa is one of the states with the most student loan forgiveness programs that are specific to just the State of Iowa. If you have private student loans, it might make more sense to refinance your loans and see if you can get a lower interest rate and payment. We recommend Credible for student loan refinancing because you can find out in 2 minutes or less if it's worth it. Try out Credible here. You can earn a $200 bonus if you refinance with them. Description: The Teach Iowa Scholar Program provides qualified first-year Iowa teachers with awards of up to $4,000 a year, for a maximum of five years, for teaching in Iowa schools in designated shortage areas. § Graduate in the top 25% academically of all teacher preparation program graduates during an academic year at a postsecondary institution. Top 25% academically is defined and certified by the postsecondary institution. § Secure full-time employment in an eligible teaching field at a school district or area education agency. 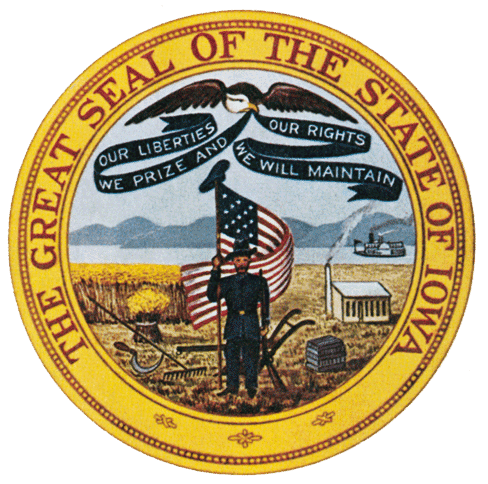 Description: The State of Iowa offers loan repayment assistance to registered nurses employed in Iowa and nurse educators teaching at eligible Iowa colleges and universities. § Be a nurse educator who hold master's, specialist's, or doctorate degrees and is employed by eligible Iowa colleges or universities; or a registered nurse who is employed as a nurse in Iowa. § Have been first employed as nurse educator or registered nurse in Iowa no earlier than July 1, 2007. § Be employed at least quarter time with a minimum of 520 hours over the course of the year. Description: The Rural Iowa Primary Care Loan Repayment Program was established to address critical doctor shortages in rural Iowa communities. The program provides loan repayment incentives to individuals that practice in specified locations for up to five years. § Attends the Des Moines University College of Osteopathic Medicine or the University of Iowa Carver College of Medicine. § Is enrolled full-time in a program leading to a doctor of medicine degree or a doctor of osteopathy degree. § Receives a recommendation from his or her college contact. Description: The Rural Iowa Advanced Registered Nurse Practitioner and Physician Assistant Loan Repayment Program was established to address critical advanced registered nurse and physician assistant shortages in rural Iowa communities. The program provides loan repayment incentives to individuals that practice in specified locations for up to five years. § Is enrolled full-time in a graduate level program of study that will qualify the individual for licensure to practice as a nurse practitioner or physician assistant. § Receives a recommendation from his or her eligible Iowa college or university. Description: Iowa’s Health Professional Recruitment Program (HPRP) is an innovative loan repayment program for graduates of Des Moines University’s D.O., D.P.M., D.P.T. and PA programs. Through a combination of state funding and money from communities in need of health care providers, HPRP can reduce your student debt up to $100,000.